If you read the “How To Play The Flute More In Tune” article you learned about tuning by yourself to an A and how to tell if you need to roll or pull in or out. If you haven’t read that one, go back and read it (http://intermediateflutelessons.com/how-to-play-the-flute-more-in-tune/) 🙂 It’s full of information that you need to use the information that’s in this article. 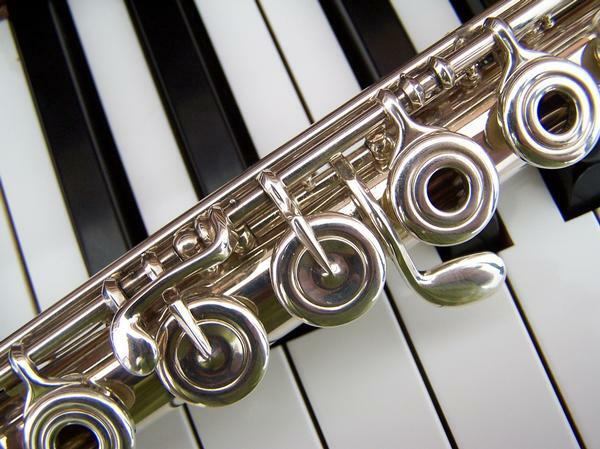 In this article we are going to talk about tuning with other instruments including other flutes. Tuning with another flutist can be quite challenging at times. Just stay calm and know you’re not one hundred percent of the time in tune either. Whoever is playing flute 1 will do their best to play as in tune as possible and flute 2, etc. will tune to them-no matter how in or out of tune they are otherwise, you could sound like a train wreck! Tuning with a piano is probably the most common instrument a concert flutist will perform with. So, instead of tuning to the tuner, you’re going to tune to the the piano no matter how in tune or out of tune it is. Ask your pianist to play the note “A” just above middle c, as well as the next octave up so you can get the low and high register. You will get both in tune and out of tune pianos, but in order to make your piece sound good, you must tune to the piano. The piano can’t tune as fast as us flutists can. 😉 Go through your entire piece and find the notes you need to be aware of when playing and remember them. You may have to go over those spots multiple times to get short term muscle memory in your mouth to work during your performance. When playing a duet with a piano accompaniment you both tune to the piano, and then flute 2, etc. will tune to flute one and listen to the piano. Sometimes you have to balance out the sound if something is off by playing quieter.